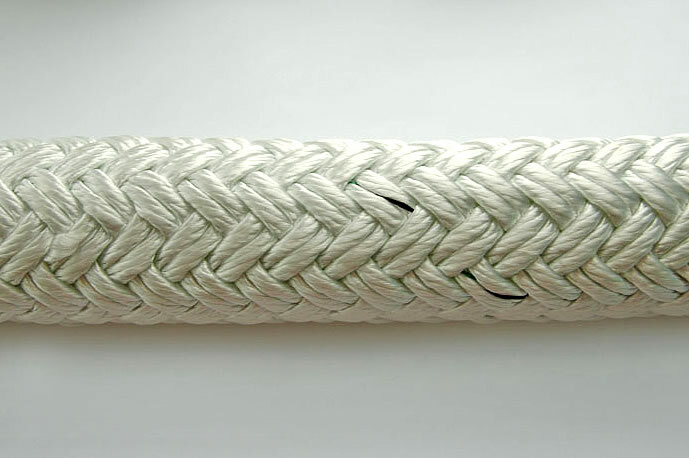 One of distinctive features of MAGMARINE LINE is a high tenacity of rope of rather small dia reached by using a special construction of seven braided parallel cores made of high tenacity Nylon. The breaking load of such ropes is 25% more than of ropes of standard construction and Nylon cover overbraiding seven cores makes the rope resistant to wear. This construction prevents the rope from twisting. “MAGMARINE LINE” ropes find their application in navigation. 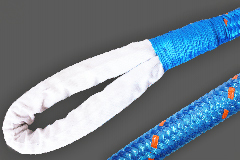 Loops of 1,8 m with wear protection are made on rope ends. If required, loops of different length with protection can be made on one/both end of the rope. Any other length is available on customer’s request. Standard rope length in coil – 100 м, 200 м, 220м. 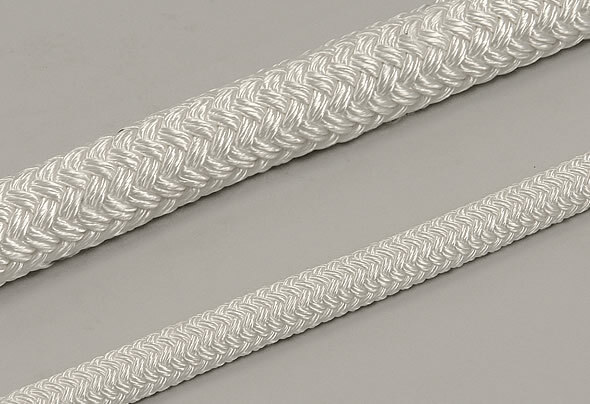 One of distinctive features of MAGMARINE LINE is a high tenacity of rope of rather small dia reached by using a special construction of seven braided parallel cores made of high tenacity PES. The breaking load of such ropes is 50% more than of ropes of standard construction and PES cover overbraiding seven cores makes the rope resistant to wear. This construction prevents the rope from twisting. “MAGMARINE LINE” ropes find their application in navigation. 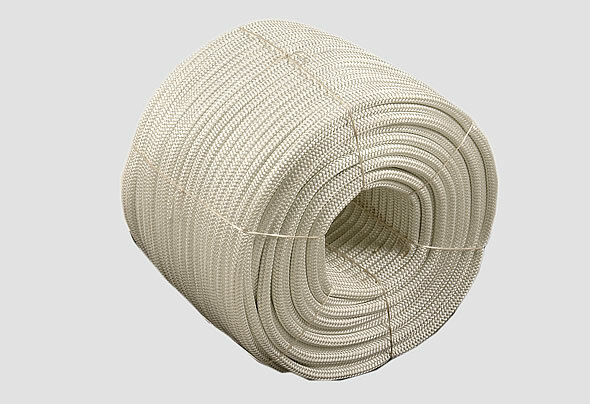 One of distinctive features of MAGMARINE LINE is a high tenacity of rope of rather small dia, that is reached by using a core made of high tenacity material. This product has an extra breaking strength and a minimal elongation. PES cover makes the rope resistant to wear. 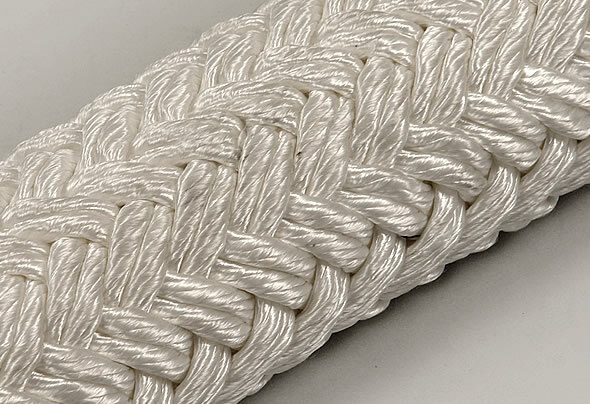 The construction consists of two braided ropes in one and prevents the rope from twisting. Double braided ropes find their application in navigation. Standard rope length in coil – 100 м, 200 м, 220м. Any other length is available on customer’s request. 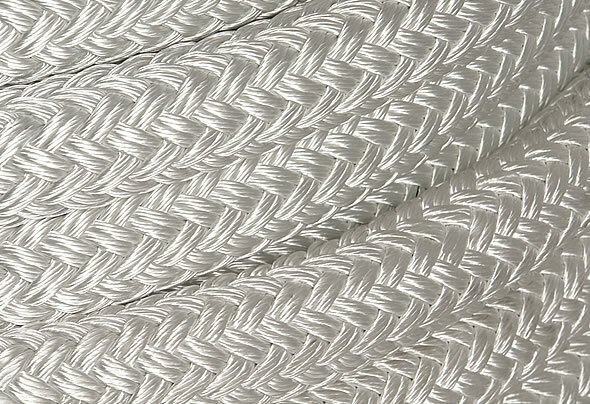 Loops of 1,8 m with wear protection are made on rope ends. If required, loops of different length with protection can be made on one/both end of the rope. 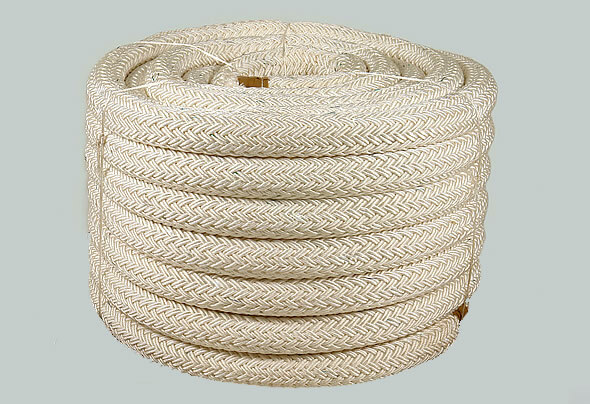 One of distinctive features of MAGMARINE LINE is a high tenacity of rope of rather small dia, that is reached by using a core made of high tenacity material. This product has an extra breaking strength and a minimal elongation. PES cover makes the rope resistant to wear. The construction consists of two braided ropes in one and prevent the rope from twisting. Double braided ropes find their application in navigation. of 1,8 m with wear protection are made on rope ends. If required, loops of different length with protection can be made on one/both end of the rope. Standard coil length – 100 m, 200 m, 220m. Any other length is available on customer’s request. 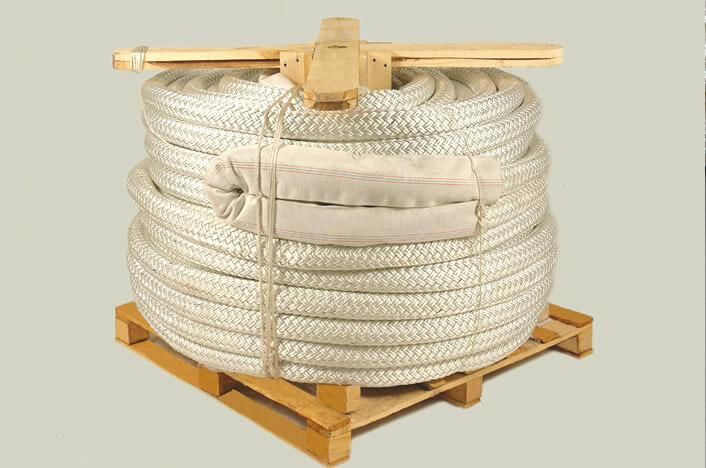 MagWinchline is a double braided combination rope which was specially designed to be used in winches. The high strength characteristics and low elongation make this rope attractive for use in single-drum and self-tensioning winches. Well balanced non-kinking construction combines 16-strand core made of polyolefin fibers and tightly braided cover made of mixed fibers with excellent UV-resistance. The presence of Polyester yarns in a cover of the rope significantly increases the resistance to abrasion and high temperatures. MagWinchline retains shape with use and could be widely used on cruise ships, ferries, Ro-Ro vessels, car carriers and tankers.